There is a vulnerability of a stem that bursts through the ground, to rest awhile, innocent, open to whatever it may find – the warmth of the sun, a gentle rain or something harsh, maybe even a trampling by animal or human. There is a vulnerability of a wish that rises to our awareness, to be welcomed or suppressed. This spells the difference between strength and weakness. Sometimes we feel vulnerable when we wish. For a wish signals a gap, and to bridge that gap, we have to remain open, to perceive that gap not as something lacking within us, but as something that we are open to receiving. The bridge can be built when we grow, not when we withdraw. The moment you are aware of a wish, don’t suppress it. Acknowledge it, embrace its motivating power that propels you to take action towards achieving that wish, expand into the feelings and emotions that arise as you wait for the wish to be fulfilled, be open to the understanding and wisdom that comes on the journey to the fulfilling of a wish. 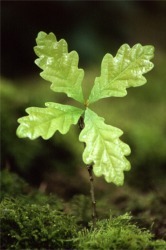 The greatest vulnerability is to the opening, and opening even wider the longer the wait for a wish to be fulfilled, because the plant does not become stronger by staying a bud, but by unfurling its leaves to receive the nurturing from the surroundings, and passing them on to developing an even stronger stem. There are stages to this expansion. : grow, then branch, flower, then fruit. Go forward into the new experience, then organize your thoughts, feelings, actions. Then, put it all together.This is how the Triorigin energies of Hetero expansion, Homo compiling and Neutro balancing come into the life of a wish being fulfilled. Branch out whenever your feelings overwhelm you. You will receive many insights. Stay still, meditate, reminisce, pray, cogitate, whenever you are feeling overwhelmed. You will gather what you have learned into wisdom. Go deep within whenever you feel disappointed, or betrayed by the world. Remember, that first bud could not have burst forth without a strong root system. Go to your roots, that divine essence, whenever the environment seems harsh. They will sustain you. Embrace the openness of being vulnerable, and you will never feel weak. Posted on November 15, 2013 by Meenakshi ~ Journey In WholenessPosted in Healing MessageTagged bridge, buds, divine essence, environment, expand, flower, fruit, hetero, homo, meditate, neutro, plant, pray, Prof. Park Jae Woo, roots, triorigin, vulnerability, wish.